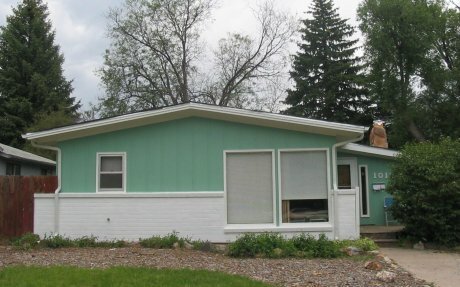 Are you looking forward to repainting your midcentury ranch or contemporary home once the weather warms up? 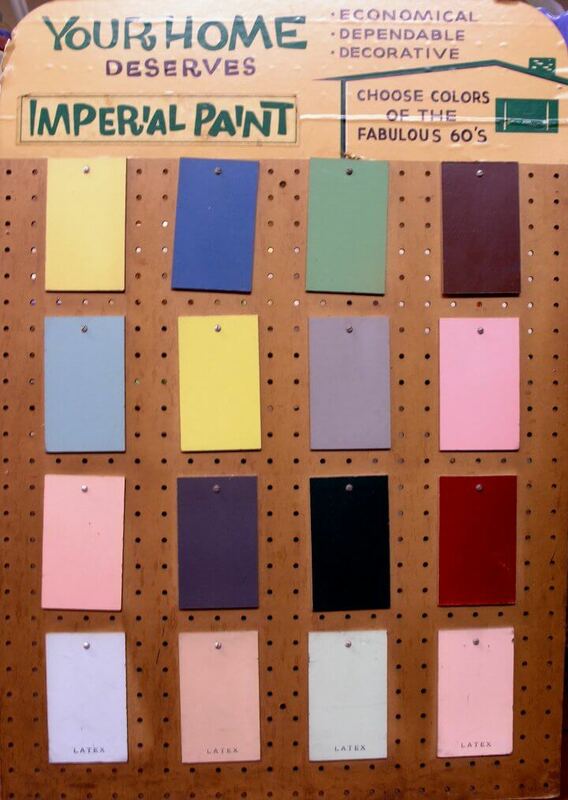 I recently connected with the nice folks at The Eichler Network, and saw that they have identified a palette of original exterior paint colors and accents used on Eichler homes, which were built from the late 1940s through the early 1970s. 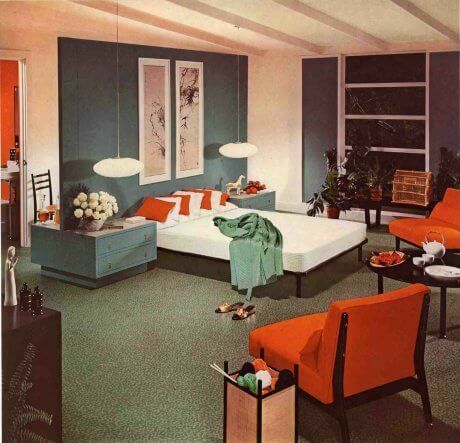 The 11,000 homes that Joseph Eichler built in California have been very collectible, and The Eichler Network runs a website and magazine to connect Eichler homeowners with service providers specialized in helping them with sensitive updates. 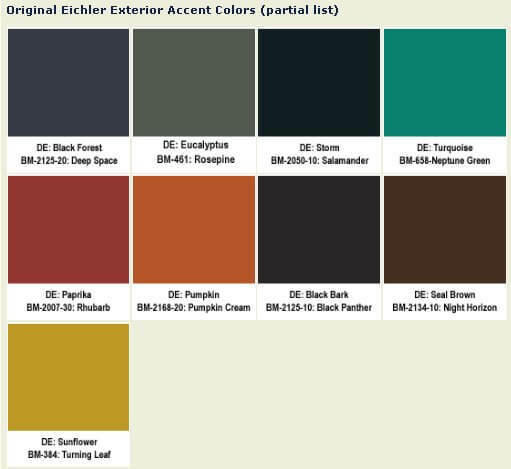 This paint color research is particularly helpful – because the Eichler experts also have translated them into Benjamin Moore (BM) colors easily available today. 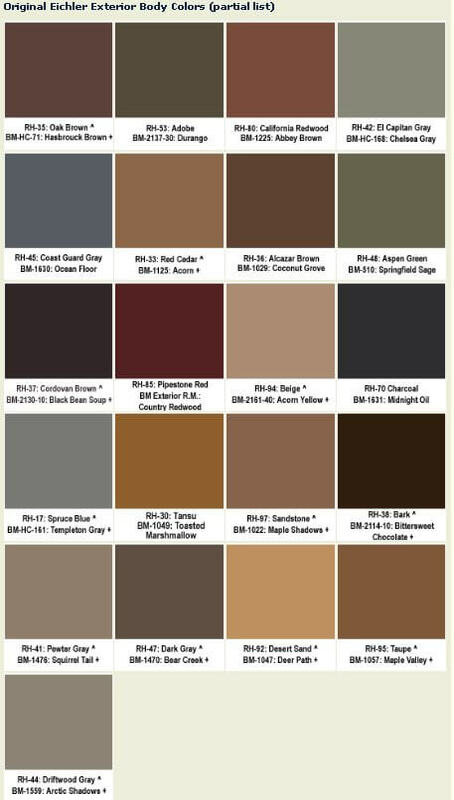 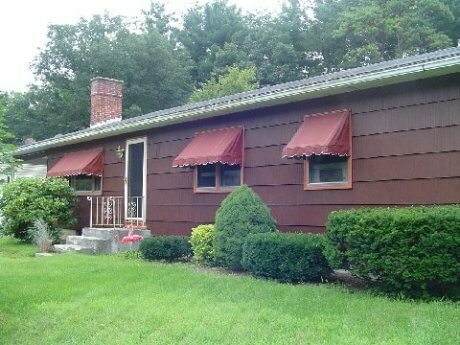 Can someone recommend a pretty trim color and shutter color to go with a red brick house?